HD Kumaraswamy has said that Tamil Nadu will get 20,000 cusecs from Kabini dam. 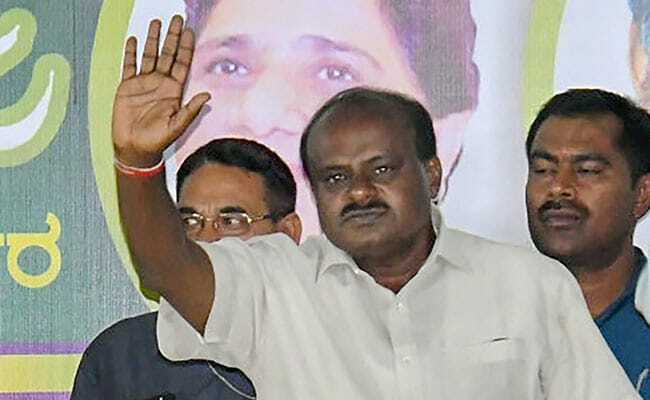 Bengaluru: As Karnataka has received generous rainfall in the last few days and water levels in its reservoirs have soared, Chief Minister HD Kumaraswamy said he is happy to release Cauvery river water to Tamil Nadu, which will get 20,000 cusecs from Mysuru's Kabini dam soon. The chief minister also promised to give Tamil Nadu's share of 10 TMC in June in accordance with the Cauvery Water Sharing Authority's order. "By the grace of God the monsoon has so far been good. I have instructed irrigation officials to release 20,000 cusecs from the Kabini dam. There is bright chance for good monsoon rains this year... If the monsoon continues like this, water sharing will be smooth," he said outside the Sri Meenakshi temple in Madurai on Friday. Mr Kumaraswamy said there was good rain in the catchment areas of rivers in Karnataka and dams were receiving good inflows. The division of Cauvery waters is one of the key points of conflict between Tamil Nadu and neighbouring Karnataka. Actor-turned-politician Kamal Haasan, who has been fighting for Tamil Nadu's share, expressed happiness over the decision. "Spoke to @CMofKarnataka. Expressed My pleasure on the opening of Kabini.Ultimately even after the Cauvery water management Authority starts functioning, only goodwill between the two States will open many more shut doors," Kamal Haasan said in a tweet. The 63-year-old founder of Makkal Needhi Maiam had met HD Kumaraswamy earlier this month to discuss the water sharing issue. After their hour-long "heartening" chat, the superstar had said "I see hope in the conversation". Mr Kumaraswamy's predecessor Siddaramaiah, who led the Congress government in the state, had persistently refused to release Cauvery waters to Tamil Nadu despite orders from the Supreme Court, arguing that his state had none to spare.